The vegetable seed beds are prepared, the soil cleared of weeds and the old Brussels sprouts and cabbages are gone. 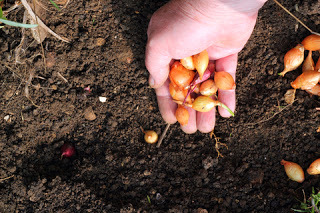 Now is the time for chitting seed potatoes and planting out garlic and shallots in sandy soils – if your soil is heavy wait a while for it to warm up. Vegetables you can sow now include Brussels sprouts, cabbages, carrots, cauliflowers, lettuces, onions, leeks, parsnips, peas, radishes, spinach, tomatoes and turnips. So there are no excuses. Follow the seed packet instruction for growing and use cloches, horticultural fleece, the greenhouse or seed trays indoors, whatever is appropriate to your garden space. You can even grow peas in the greenhouse in lengths of soil filled guttering with holes drilled in the bottom for drainage. Asparagus beds can be prepared – there’s nothing like having fresh asparagus in the garden. It can be grown from seed but you’ll find it easier using year-old crowns which you plant in March or April. Asparagus takes a bit of looking after but it’s worth it and satisfying to grow.